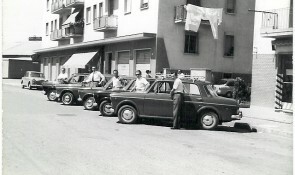 COSEPURI was founded in Bologna, Italy in 1972. It is a consortium of highly qualified transportation and tourism businesses. The Consortium’s activity focuses on transporting persons (individuals and groups) and goods, and on managing public transportation with its own vehicles and through third party service suppliers. 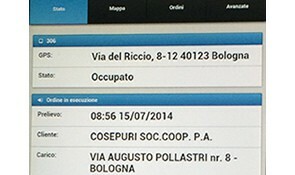 COSEPURI offers its services as a single go-to supplier, everywhere in Italy, thanks to its network selected operators. Rapid-response reservation is available for rental of cars with driver, coaches, minivans and goods transport. The company is divided into Operational Departments, which handle the production, organization and sales of the services offered. Its Quality and Environmental Control system has received UNI EN ISO 9001:2015 and UNI EN ISO 14001:2015 certification, assuring that its chauffeured service, chauffeured bus hire and goods transport services are accurately tailored to suit each customer’s needs. COSEPURI strives to satisfy the need for increased mobility of people and goods through ecologically and ethically sound development that guarantees the improvement of economic, social, and professional conditions of its members and employees. For this reason, COSEPURI supplies its public and private clients with individual and group transportation, delivery service, and storage service. COSEPURI also provides local urban and suburban public transportation services, as well as school bus services. - the strengthening of its position in goods transportation, intercepting a niche demand for integrated services with high added value. For this purpose, COSEPURI dedicates itself to exploring and implementing innovative initiatives, both organizational and technological, addressed both to the local and national field, possibly in partnership with reputable operators, ethically and professionally, and aware of the need to combine efficiency and quality of the services offered. Some gain prestige in the field, but we have gained it on the road, safely taking our clients or their goods anywhere they need to go, with professionalism, punctuality, elegance and courtesy. Thanks to our four operative divisions - Auto, Coach, Delivery Service and Public Bus Lines, we satisfy our clients' needs in a personalized manner. We offer high quality service 7 days a week, 24 hours a day through our Call Centers, with special attention to comfort, image and discretion in every aspect of your trip, whether it be within the city, outside of city limits, for institutions or private clients, with the same guarantee of safety and reliability. In 40 years, we have driven a long way. This is the reason why we have earned the UNI EN ISO 9001:2008 Quality Certification and the UNI EN ISO 14001:2004 Environment Certification. COSEPURI is a reliable source for transportation services and aims to be outstanding in the fields of chauffeur-driven services (car or coach rental with driver) and goods transport. To reach this goal, the company employs the latest IT innovations, making COSEPURI the only chauffeur-driven vehicle rental company with services nation-wide and a technological platform and level of organization that rivals any taxi firm in major Italian cities. The automatic service distribution system employed by COSEPURI uses GPS technology to identify the vehicle closest to the pick-up point of the passengers or goods to assure rapid service. Each vehicle is equipped with a tablet indicating the service assigned. The goods transport vehicles use the same automated service distribution system.